Wisdom's Cafe in historic Tumacacori stands alone on old US 89 from Mexico to Canada. It is the oldest remaining roadside restaurant still in the hands of the same Family and still in the same location where it began in 1944. Wisdom's is named for Howard Owen Wisdom and his wife, Petra Gomez Wisdom. The enterprising couple were in their early 30's when they decided to set up shop in the Upper Santa Cruz on land gifted by Petra's father. 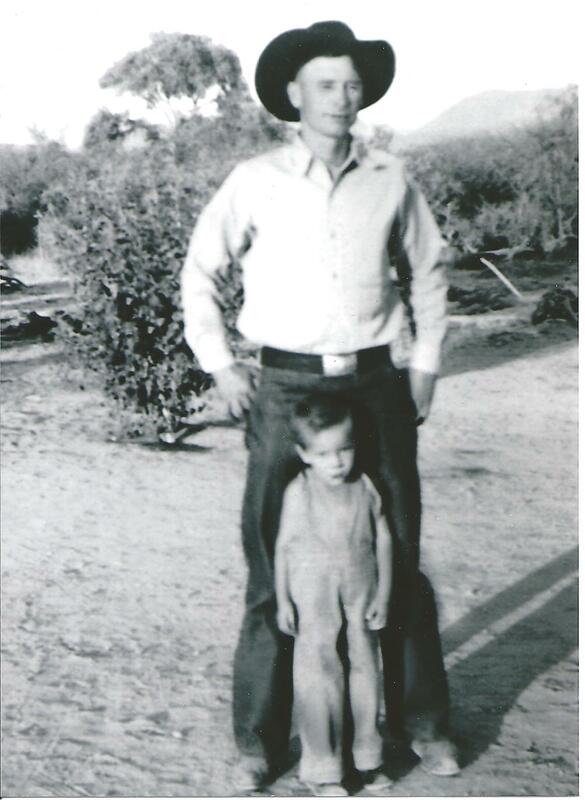 Howard is said to have been an athlete in the saddle who learned the cowboy ropes near Canoa on the Baca Float. In Wisdom's early days there was a counter with four or five stools and three or four tables. The cafe soon had a beer license and the food was said to be very good. Howard, Petra and their Family cooked. There was an outdoor patio on the north side where small parties 15 to twenty people were held from time to time. Howard catered the food and beer for a very reasonable price, and often joined in later in the evening. Back then, the cafe didn't need any advertising. There was a sign in the front window that simply said "Wisdoms". Howard was a natural born cowboy so, naturally, he built a small roping arena where bulldogging and rodeo champions came from around the U.S. and Mexico to show off their skills. Frequent events there often drew 50 to 60 people, usually local ranchers, cowboys, and area families. 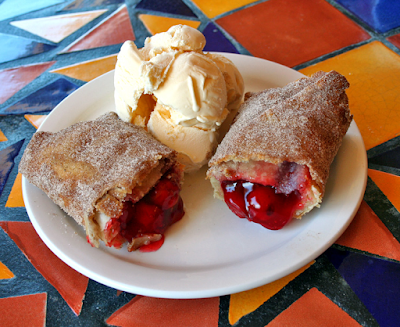 Success smiled on Wisdom's Cafe and it gradually grew into what is now a regional tourist attraction known far and wide for a famous fruit burrito. Today, passersby Wisdom's are likely to see dusty old local pickup trucks parked beside shiny new rental cars with California license plates. The modern Wisdom's is a far cry from the original little place with a rowdy bar but it stays true to its deep Tumacacori roots. Diners now enjoy a classic Mexican motif amid walls decorated with artifacts of old times gone by. 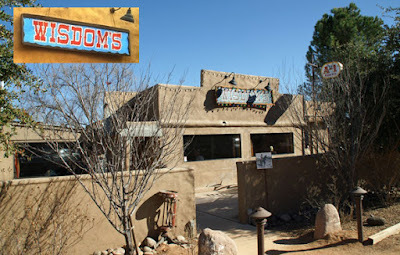 Wisdom's is a "must stop" roadside attraction for US 89 Heritage Tourists. The cafe gets solid reviews and high marks for both service and food. The fruit burro remains a fan favorite. Click here for Wisdom's menu. Please visit our other US 89 Team resources.